The Lee County run starts at 8am Friday at the Lee County Sheriff's Office headquarters on Six Mile Cypress Parkway. FORT MYERS, Fla. -- Get ready to slow down for a good cause Friday morning. 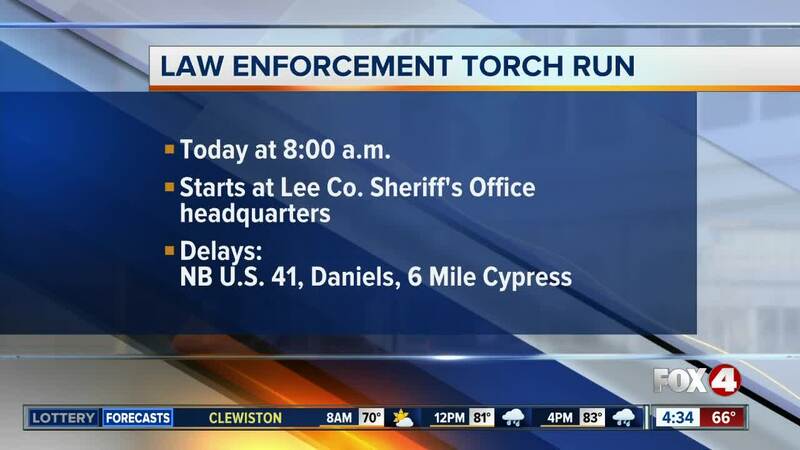 The annual Law Enforcement Torch Run benefits the Special Olympics in our state. The run is six miles long and is restricted to law enforcement and first responders. Traffic may be slow between 8 a.m. and 10 a.m. along northbound U.S. 41, Daniels Parkway, and Six Mile Cypress Parkway.